The following are detailed specifications about the 18-Watt GU24 Compact Fluorescent Light Bulb. 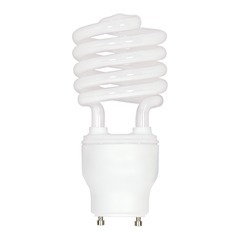 18-watt compact fluorescent bulb with GU24 twist lock base. Integral ballast in the base. 120 volt. Would absolutely order these from you again. Thanks. The order was received complete, correct, and timed as promised. However, having been given the wrong item number to order by a contractor, the shipment had to be returned. The outstanding part of this was the accommodating and pleasant customer service rep who facilitated the return. I'm pleased to find a reliable new source for our property's needs. 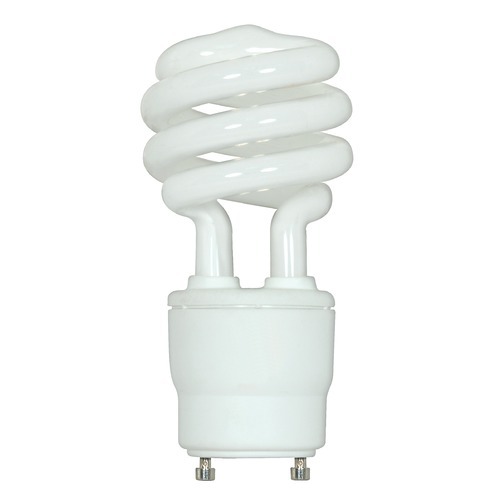 This 18-Watt GU24 Compact Fluorescent Light Bulb is part of the GU24 Bulbs Collection from Satco Lighting. The following items are also part of the GU24 Bulbs Collection.